Keep it classy with Superman! 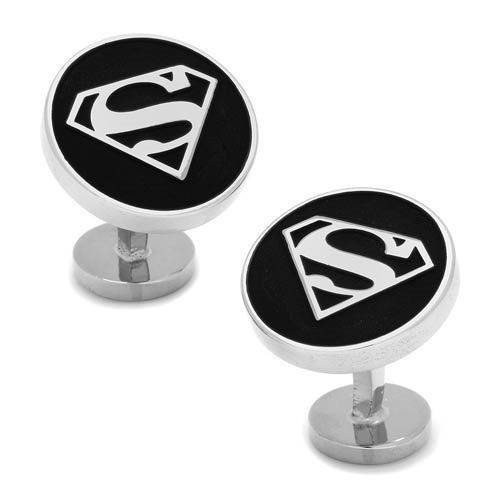 These Recessed Black Superman Shield Cufflinks are constructed of plated base metal and enamel, featuring the Superman symbol in silver, surrounded by back. Cufflinks measure approximately 3/4-inches in diameter and feature fixed logo backing. Officially licensed by DC Comics. Ages 15 and up.